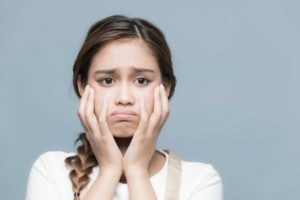 Is Your Teenager Struggling With Life’s Responsibilities? Is your teenager struggling to keep up with school and extracurricular activities? Are you worried that they are overworked or overwhelmed by the expectations of their peers, teachers—even yourself? Perhaps your teen is having problems fitting in, making friends, or engaging in social situations and you worry what that means for their social development down the road. Or maybe you are concerned that they are being pressured into behaviors or activities that they may not be ready for, but you don’t know how to approach the subject. Being a teenager is tough enough, but when you add in the stress that society, peers, and academics can create, it can be overwhelming. And as a parent, trying to reconnect with your child and navigate their challenges alone can be equally confusing. For instance, you may be afraid that there is too much stress on your child to excel in high school, go to a particular university, or follow a certain career path. Conversely, you may be concerned that your teenager’s success and drive is coming at a cost to other crucial aspects of their young life. Or it could be that you are witnessing your teen struggle with anxiety, depression, or trauma, but you don’t know what you can do as a parent. I understand that these can be difficult times, but you don’t have to figure this out on your own. Would you like to learn how to communicate with your teenager better and help prepare them for a life of success while still protecting and honoring their own interests? The teenage years are a tough time for a lot of young people. Once a person hits puberty, the brain starts undergoing an assortment of changes. Teenagers may start experiencing things they’ve never had to deal with before, such as sexual attraction and emotional volatility. With all of the information that teens get bombarded with, it can take a while to naturally transition into this new reality. Complicating matters is the strong influence that technology and social media has on young people. Most individuals tend to post idealized versions of their lives on social media, which leads many teens (and adults) to compare their lives to what they see online. And even though they may recognize the images and stories as an illusion, it can still have an impact on the way they perceive themselves and others. The pressure to look good, be popular, and achieve academic success can be overwhelming. And if your child is one of the many teens who suffer from a mental health issue, such as teen depression or anxiety, it can add another, confusing layer of stress to the mix. And unfortunately, mental illness in teenagers is on the rise. In fact, according to the National Alliance on Mental Health, or NAMI, one in five people between the ages of 13 and 18 struggle with their mental health. 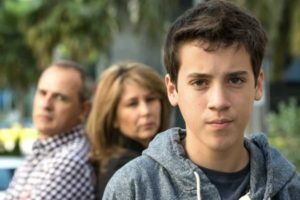 Additionally, although you love your child and want to help, you may have trouble relating to your teen, especially if they are dealing with situations you haven’t experienced. Alternatively, they may not feel comfortable opening up to you, even though you may have been through similar situations before. I understand that these times can be difficult, but you don’t have to puzzle together your teen’s challenges on your own. If you’re a parent just hoping to help your child be healthy and happy, counseling can be a great way to find clarity and relief for both of you. Although many teens are resistant to going to therapy, working with a therapist provides you each with a nonjudgmental source of support and guidance. Through our sessions, your teenager will be able to see the true nature of their challenges and develop ways for overcoming obstacles that stress and high school may present. And as a parent, you can gain the tools, strategies, and insight needed to help your teenager succeed. I offer a space of safety and warmth for my clients in which to discuss their concerns candidly. I want to truly understand what your child is going through without them censoring themselves. For this reason, I usually ask to speak with the teen individually, first. As a parent, myself, I understand the concerns you have for your own child. However, teens may not be comfortable talking about themselves with another authority figure present. Because every situation is unique, each session will be tailor-made. In some situations, teens benefit from rapid resolution therapy. As the name suggests, this form of therapy is a noninvasive technique that focuses on helping individuals overcome often debilitating conditions, such as anxiety or trauma, in relatively little time. We may also use cognitive behavioral therapy in order to change unhealthy thought patterns. For example, if your teen constantly says negative things about their body, we can reframe negative thoughts into positive affirmations about their appearance. I also teach a variety of relaxation techniques, such as mindfulness meditation and breathing exercises, that can help your teen learn how to relieve stress quickly, especially in times of distress. The teenage years can be frightening and overwhelming, both for parents and for teens. However, I can provide you both with professional guidance for sorting through the confusion and stress so that your child can be empowered to live the life they choose. And as a parent, you will know that you have done everything you can to ensure that you are helping your teen prepare for a successful life as an adult. I’m worried about the cost of counseling. While cost is an understandable concern, I’d argue that the worth of counseling is invaluable. It can help handle small problems that may become bigger if left alone and untangle big problems that may cause issues in everyday life. By investing in teen therapy, you’re investing in your teen’s mental health and long-term well-being. We don’t want to go to counseling for long. Unlike traditional counseling, which may be ongoing, rapid resolution therapy accelerates the process and gives you the tools for your teen to heal quickly. Together, with a little commitment and work, you can achieve the results you’re looking for and be out of counseling in a much quicker time period. We’re really busy and don’t have time for teen therapy. The world is hectic, and it can be hard to find time between school activities and work to get to counseling. However, it is important to prioritize your teen’s mental health. The earlier the intervention, the greater the results. That’s why I offer flexible scheduling to help you find a time that works best for both of us. In the short time we will work together, you can reap a lifetime of benefits for you and your child. If you’d like to know more, I offer a 15-minute free phone consultation. Please call 281-693-1455. Together, we can equip your teen with the life skills, awareness, and resources needed for a successful transition into adulthood.